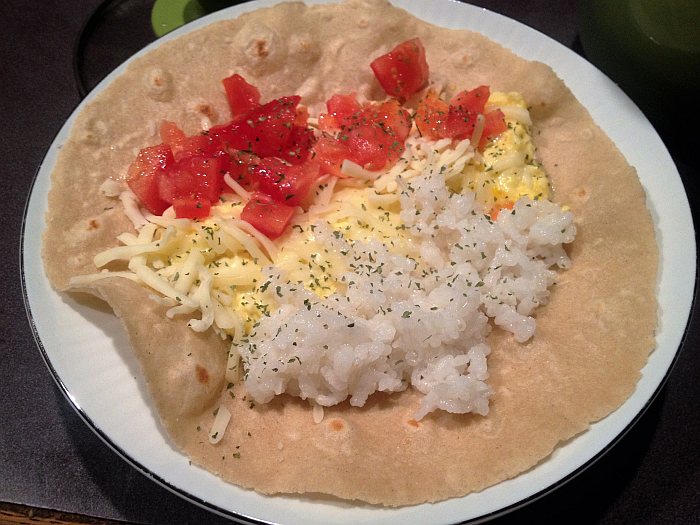 gluten free food reviews – Get Cooking! 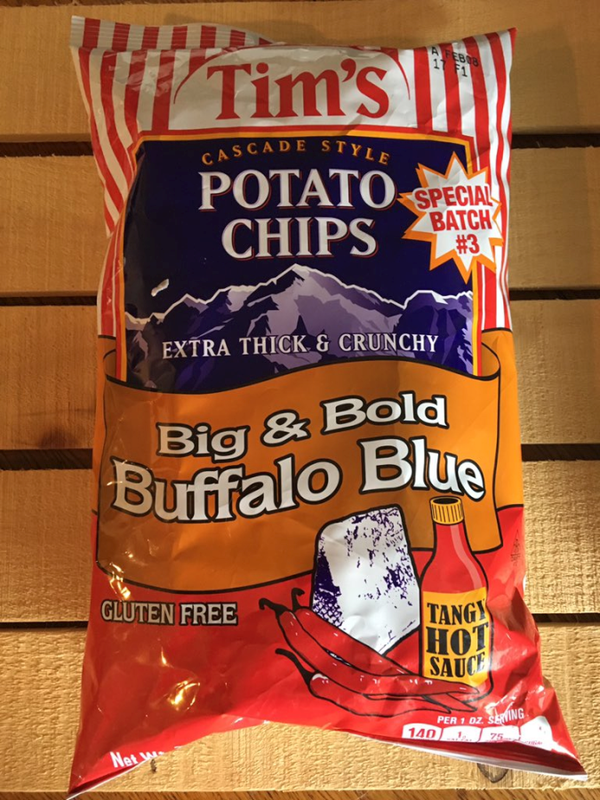 Tim’s Big and Bold Buffalo Blue ChipsAre you familiar with Tim’s Cascade Snacks? They have ridiculously delicious chips and popcorn that is, literally, impossible to stay out of. I have had to physically remove myself from being in the same room with their Erin’s White Cheddar Popcorn and that is not an exaggeration. 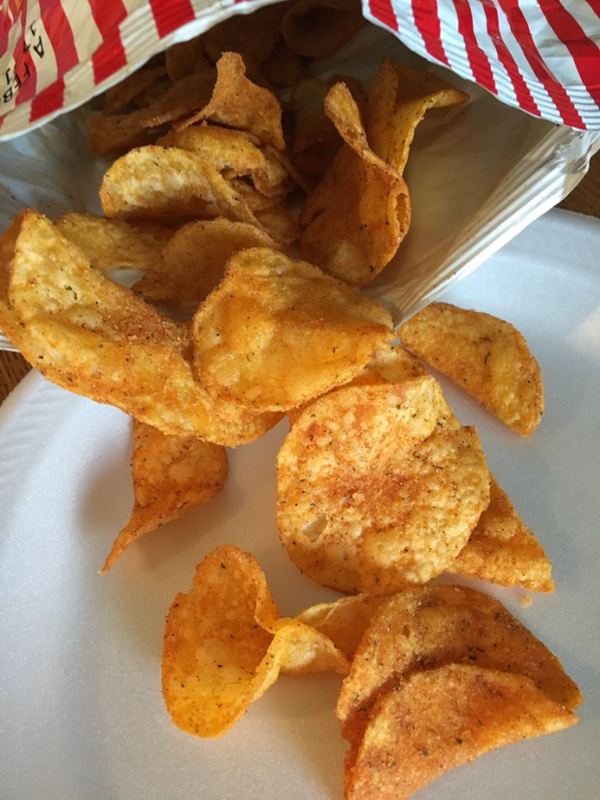 I was recently sent a delicious little bundle to review on the food blog which included two new snacking obsessions: Tim’s Big & Bold Buffalo Blue and Hawaiian® Hulapeño Kettle Style Potato Chips. I love both of these beyond reason. I also just spied a Vlasic® Dill Pickle variety on their website that has my mouth kind of watering. Tim’s Big and Bold Buffalo Blue ChipsI love the flavor of both of these chips, which kind of surprised me. For one thing, if you know anything about me, you know I’m a pepper fiend. 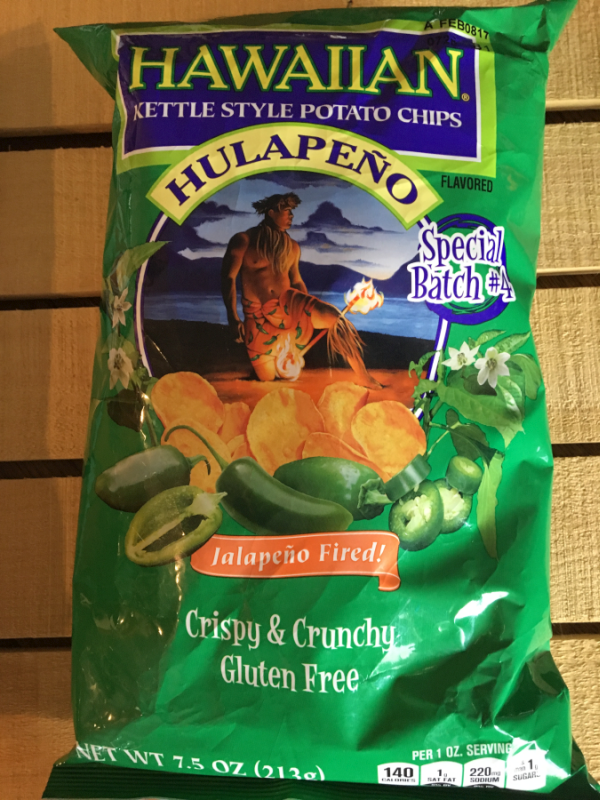 Peppers of all kinds make my world go around, so I fully expected to love the Hulapeno chips. They were, however, even more delicious than I’d expected. The beautiful jalapeno flavor is there, but it doesn’t send you running for the nearest glass of iced tea. It’s subtle and perfect. I honestly didn’t know how I’d feel about the Buffalo Blue Chips. While I love just about all cheeses, blue cheese is actually one of the three I don’t care much for. Somehow these chips are knock-outs though! I tasted the first one with a little trepidation and went after the second one like it was the last chip on earth. They are both, quite honestly, perfectly delicious. 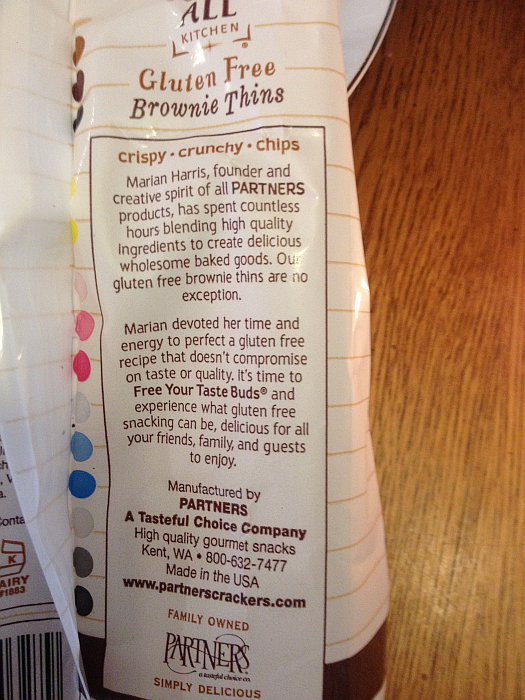 I also appreciate the clear Gluten Free labeling – it’s always great to see food companies who are considerate like this. Those of us who have to eat this way for health reasons appreciate the extra steps companies take to help us out. 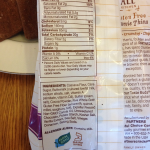 Their website (Tim’s Cascade Snacks) also provides clear information about allergens and ingredients for each of their products. Buy these and the other Tim’s Cascade Snacks Online by clicking the link. They are exceptional! A lot of Tim’s Cascade Snacks are also available on Amazon – meaning it’s easy peasy to simply throw a bag or two in your cart each time you go shopping. 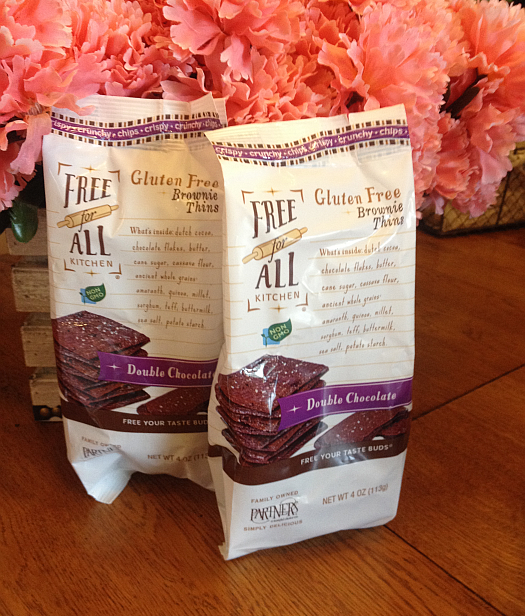 You’ll want to do so, too, these make wonderfully delicious gluten free snacks! 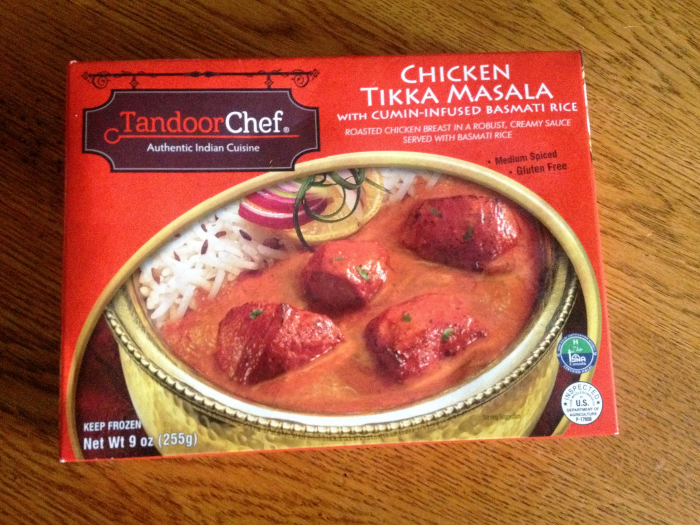 I was recently sent a few coupons to try and review the Tandoor Chef Authentic Indian Cuisine Frozen meals and I, literally, went immediately to Kroger. I’d actually seen these enticing looking meals the week before and had made a mental note to try a few. I love Indian Cuisine so much, I was almost afraid to try them. My reasoning was that there was no way they could capture that unique something something that makes Indian cuisine so exotic and unmistakable. So, I was wrong. I mean, I was way wrong. 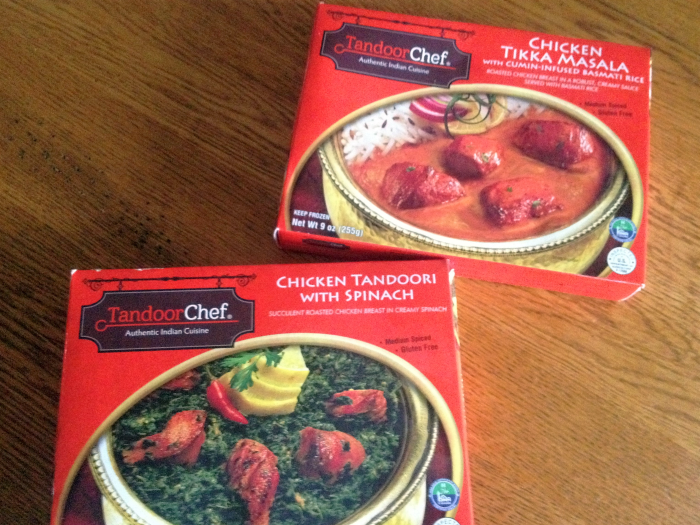 The Tandoor Chef frozen meals are full of so much flavor it’s not even reasonable. Seriously. There is a bit of spiciness but it isn’t remotely overwhelming. 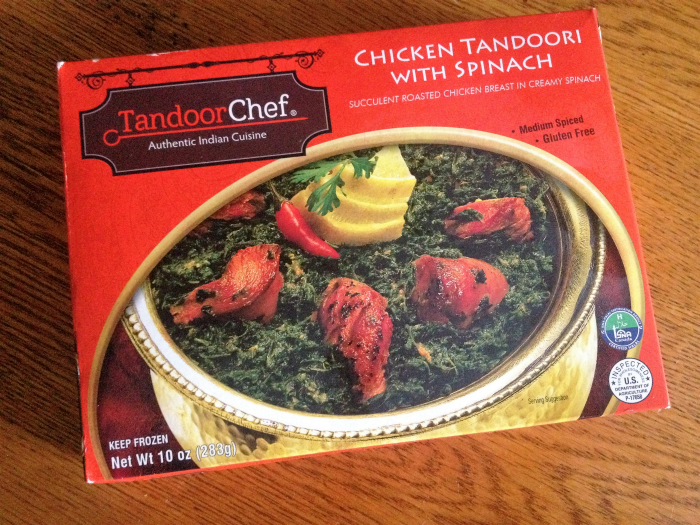 The first one I tried was the Chicken Tandoori with Spinach, simply because I’m a sucker for anything and everything with spinach in it. My inner Popeye just can’t get enough, so we were both pretty excited. It won’t win any beauty contests, mind you, but it’d win any flavor contest it entered. SO MUCH FLAVOR! 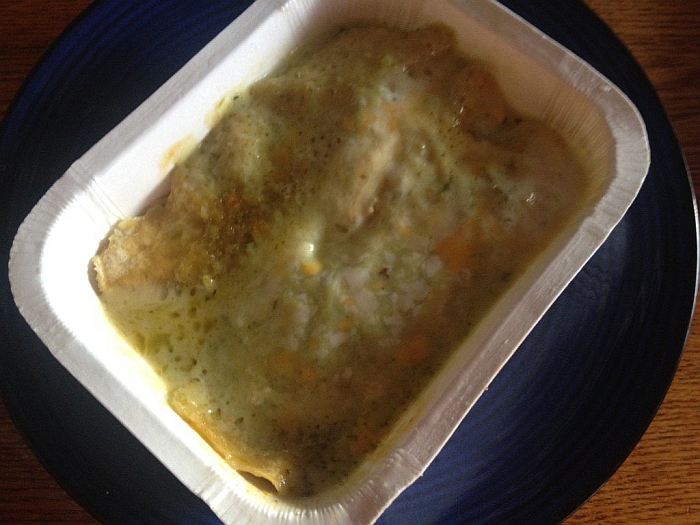 The something something I doubted frozen meals could capture was there – unmistakably so. Each and every bite was a beautiful experience. When it was time to try the Chicken Tikka Masala, I thought, “Poor guy has an impossible act to follow…” but he more than held his own. The rice was surprisingly good to have been frozen (I mean surprisingly good), but the star of the show was the sauce. My youngest daughter and I each tried the Chicken Tikka Masala and we’re still talking about that sauce. It’s just insanely delicious. Like the amazing spinach in the Chicken tandoori, the beautiful flavors of Indian Cuisine are there and they are exquisite. Look for these delicious gluten free meals in your frozen section of your favorite grocery store. At Kroger, they’re in the gluten free/health food section. The flavors will blow your mind. If you have to (choose to, want to, get to…) eat gluten free, you know that finding food with “Gluten Free” on the label is imperative. I’ve known this for years but was recently reminded of the fact. After MONTHS with zero issues, I was recently accidentally “glutened” twice within 10 days. The double whammy knocked me off my game for weeks. Stomach pain – sometimes so bad I walked hunched over like the Humpback of Notre Dame for a few days. I belted out, “Sanctuary! Sanctuary!” at my cat once but she didn’t even blink. She’s grown accustomed to my ways. Inability to sleep or stay asleep if, by some miracle named Benadryl, I happen to arrive. Weight gain. You can imagine what back to back issues did for me. Pounding headaches – the kind Ibuprofen can’t touch. Itchy hives… a trick my body has only recently learned. Luckily for me, it has upped its game. Inability to concentrate. My mind becomes a two year old – running all over the place and staying nowhere for more than a minute and a half. Ballooned belly. I don’t think we need to elaborate on this one. Zero appetite – usually not that big a deal for someone, but I happen to have low blood sugar and experience hypoglycemia when I haven’t eaten within what my body thinks is a reasonable time frame. A general feeling of the “nasties.” Again, like the flu – with a few extra tricks up its sleeve. My body reacts to gluten and wheat as though it’s been poisoned, Disney style. What basically happens is it hits panic mode and any combo of the above symptoms start coming at me left and right. Within the ten day double-poisoning last month, every single bell was rung. In spite of my misery, I couldn’t help being impressed. One poisoning came from eating something off of a menu that I wasn’t sure was gluten free. We were at a Japanese restaurant where (like authentic Mexican restaurants) you have to do a lot of guess work. I guessed wrong. A mere 10 days later, I took my chances (can you say DUMB??) with a bottle of BBQ sauce. While it didn’t actually say the words “Gluten Free” on the label, I scoured over the ingredients and felt it had to be safe. It may sound like I’m making excuses, but I’m not entirely certain my brain had recovered from the first glutening. Unless you’ve experienced this, first hand, you cannot possibly imagine what it does to every corner of your body – brain included. That’s why it’s so important to have people around you who understand the gravity of the situation and can help look out for you. Being glutened isn’t just about the miserable weeks it takes you to convince your body it isn’t under attack. It goes further than that. Each time you’re glutened, the damage is done. If you have intense allergic reactions to gluten or wheat, the reactions could actually be fatal. 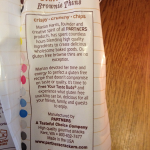 In other words – don’t eat or drink anything unless it assures you that it’s gluten free. I will not let my guard down again. I have adopted a new code word and it’s DILIGENCE. I will be completely diligent about making sure everything I buy says Gluten Free on the label and I’ll be diligent about ordering food that I know is gluten free in restaurants. If you’re in the same wheatless and gluten free boat I’m in, I hope with all that’s within me that you’ll do the same. Be diligent and never let your guard down. Think Outside of the Grocery Store Box. 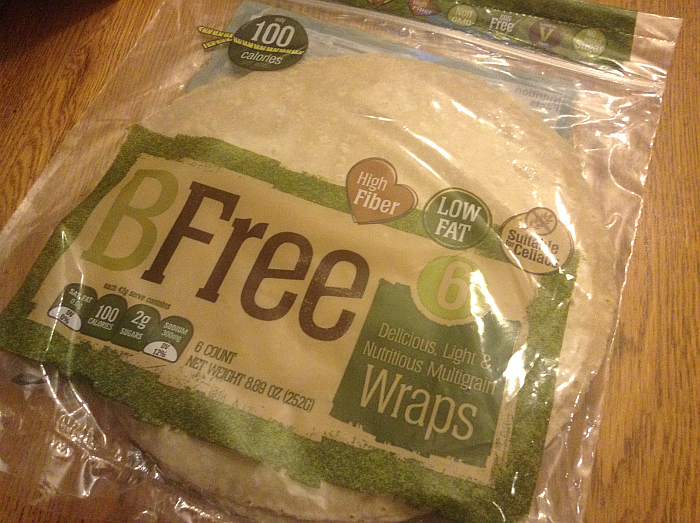 Wal-Mart, Meijer, Target, Big Lots, and TJ Maxx are some of my favorite places to find gluten free products. Most Wal-Marts even have “gluten free sections” where you can find products you can’t find anywhere else. What’s more, they’re adding a lot of gluten free products to their store brand and the ones I’ve tried have been great. Wal-Mart’s gluten free food is cheaper than just about anywhere else, too, which is a plus. 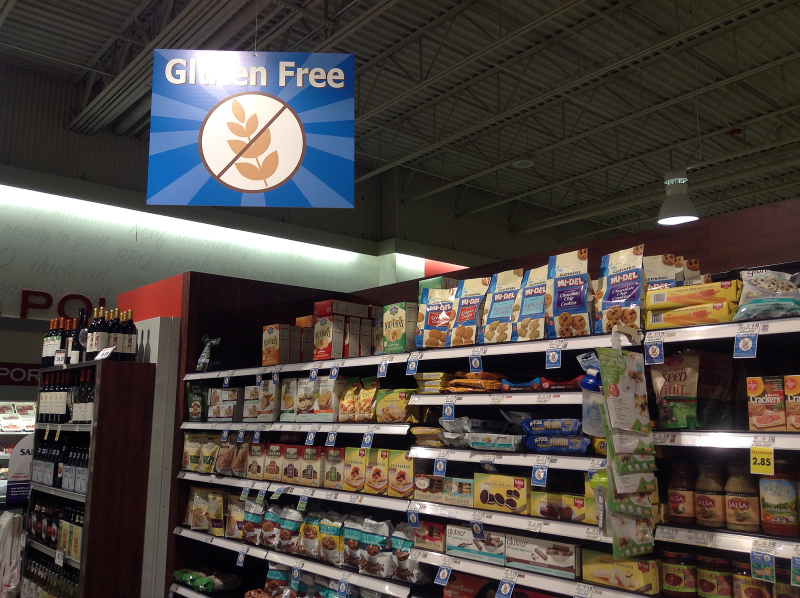 Be sure to check throughout the store as well as the gluten free section. They have gluten free food spread out everywhere! TJ Maxx might be the most surprising store in the list, but they’ve been blowing me away with their gluten free cookies, candy, and snacks. Some of the best gluten free cookies I’ve ever bought have come from TJ Maxx. Target and Meijer are also wonderful places to check and Big Lots can knock you over with their savings on Bob’s Red Mill Gluten Free products. Cheat on Your Favorite Grocery Store.. I Won’t Tell. Check out other grocery stores in your town and even in surrounding towns. They may carry a gluten free product you’ve never even heard of. When travelling, be sure to check out grocery stores in other states as well. If you find something you fall in love with – stock up, then order online or, better yet, ask your grocery store to start selling your new find. The picture above is from a Schnucks store in a neighboring state (Indiana). They carry a lot of different gluten free items my own beloved Kroger (here in Kentucky) doesn’t, so it’s worth the occasional drive to stock up on a few rare gems. Check out My Reviews. I frequently write gluten free food reviews in an effort to let you know what’s the best of the best. Check out Farmer’s Markets and Local Stores. A few weeks ago, I was in a local Farmer’s Market and, literally, lost track of the number of “Gluten Free” labels I saw. Farmer’s Markets are all about wholesomeness, freshness, and food that is as unprocessed as possible, so it’s only natural that they’d want to offer gluten free food. Amazon, Amazon, Amazon. I can wear my favorite pajamas and fuzzy pink house-shoes to one of my favorite places to shop for gluten free food: Amazon. I use Amazon religiously for gift-buying, cookbooks, and kitchen gadgets and, with each order, I throw in a couple of gluten free foods to keep things delicious. There are countless brands of gluten free products on Amazon that you simply won’t find anywhere else. For example, I can find several Pamela’s Products Gluten Free foods, which I love, in stores but Amazon has Pamela’s Products I’ve never even heard of. The same is true of Katz – another favorite brand. OMG, their gluten free doughnuts!!! 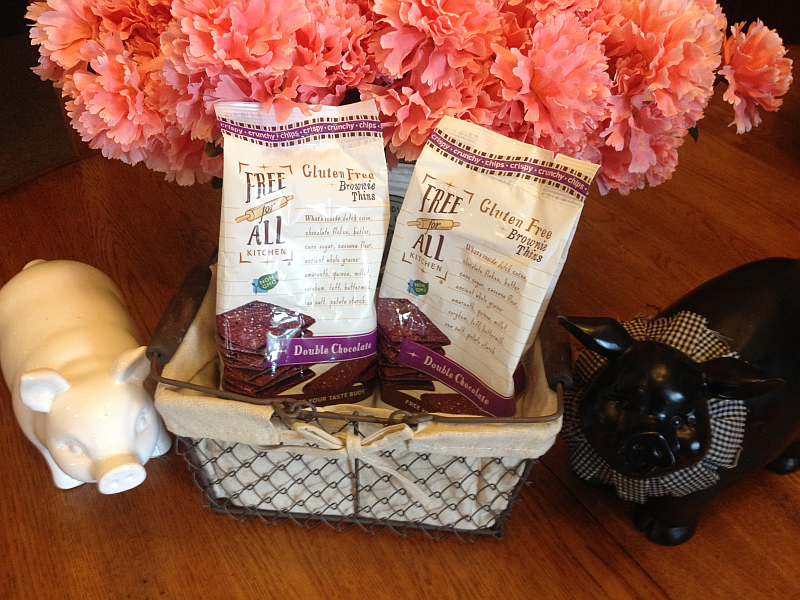 When shopping online, as is the case in stores, always look for the magic words: Gluten Free. Whenever I’m asked to describe myself (in a short bio, social media blurb…), I always have a difficult time. For one, if I were totally honest in my assessment, it’d read like something out of a old school sitcom. An I Love Lucy episode, to be exact. For another, I’m a scatterbrain’s scatterbrain, with thoughts running all over creation, top speed, at any given time. Hobbies, interests, passions… they’re all over the place. Give it to you in 100 words or less? You’ve got to be kidding, right? However, there are a few things that always, always, always make the cut. Right after God and my family/cats, my boundless love for animals and chocolate will always get top billing. 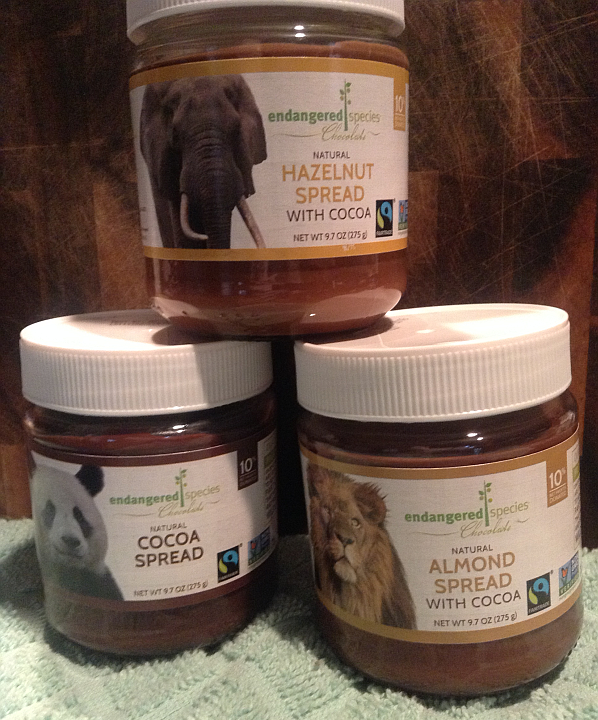 When I had the honor to review Endangered Species’ Chocolate Spreads, how could I NOT jump at the chance? I was on board before they even asked me. 10 percent of Endangered Species’ net profits are DONATED to Non-Profit partners that protect and preserve WILDLIFE. Maybe you’ve seen their candy bars in grocery stores? They are out of this world delicious – if you haven’t seen them, do your taste buds (and wildlife) a favor and search them out. You can find more information about the candy bars and more Endangered Species products at ChocolateBar.com. I had never seen or even heard of their cocoa spreads before they contacted me, but now that I’ve tasted them, I can guarantee you my kitchen will never be without each flavor. Each time I think I’ve decided on a favorite, I’ll taste another and… zoom, right back to indecisiveness. Each one is uncommonly delicious and downright addictive. These spreads have more than just GREAT taste in common – they’re also gluten free, Non-GMO verified, and proudly carry the Fairtrade symbol. I’ll give each of these fantastic spreads a little bio below, but the best way for you to find out just how impossibly delicious they are is to buy your own beautiful little jars and lose yourself in the deliciousness. 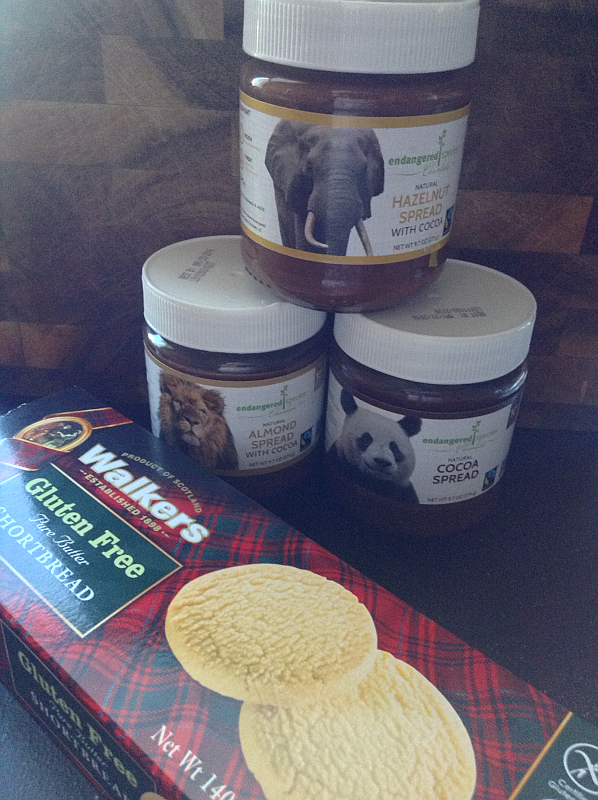 As you’d imagine, the Endangered Species Hazelnut Spread tastes a lot like Nutella. Except, I personally think it’s even better. It’s about 4 times creamier and spreads a lot more easily. Dipping fruit, crackers, cookies, fingers, and nuts into the spread goes more smoothly. There’s a distinct flavor of hazelnut that pairs beautifully with the insanely delicious cocoa flavor. The Hazelnut Spread is perfect served on cookies or crackers and makes an ideal dip for strawberries and almonds. Learn more about the Hazelnut Spread with Cocoa by clicking the link. The Almond Spread is just as fantastic as the Hazelnut spread is, which is really saying something. The only difference is that the subtle but wonderful taste of almonds takes the place of hazelnuts. Learn more about the Almond Spread here. 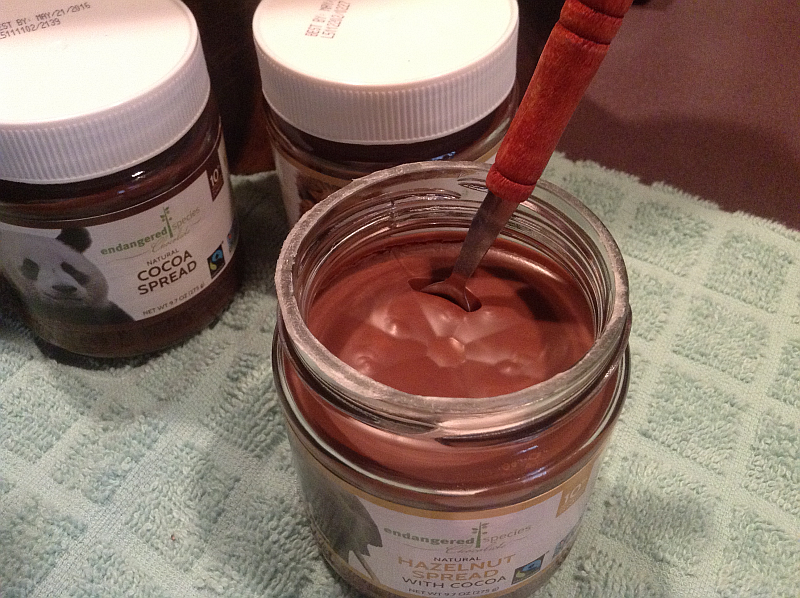 Cocoa Spread – that’s short and to the point isn’t it?? With the two magic words, you know exactly what you’re getting into: cocoa! I could cover my entire arm with this cocoa spread and lick every inch clean. It’s outrageously delicious. I’ve eaten this one on cookies, strawberries, almonds, and… yes… off the back of a spoon. 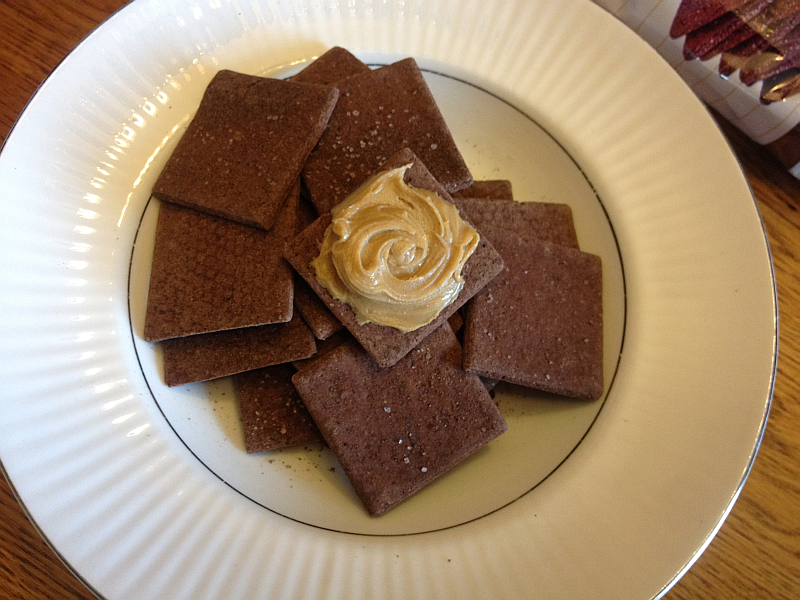 I’ve also dipped gluten free pretzels into the cocoa spread with mind-popping results. 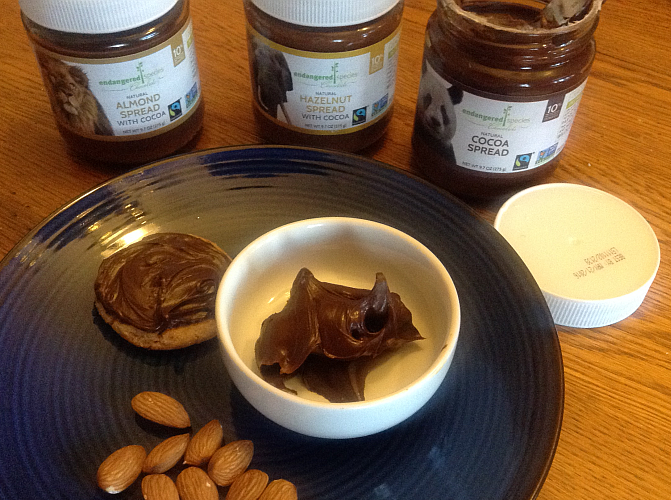 Read more about the Cocoa Spread on the Endangered Species website. Whether you have to/choose to/get to eat gluten free or not, the possibilities for these spreads are endless. I even spread some of the cocoa spread onto some peanut butter fudge once, just to…. I dunno…. sweeten the deal. In the picture below, you’ll find what has become my favorite way to eat these delicious spreads: with Gluten Free Shortbread Cookies from Walkers. The taste of these spreads with these cookies is out of this world. You can find Endangered Species products in most grocery stores as well as on Amazon (click the link to see a ton of Endangered Species candy bars, spreads, and more). Learn more about Endangered Species wonderful products and program by visiting ChocolateBar.com today. *** You can also find Walkers Shortbread Gluten-Free Shortbread, Rounds, 4.9 Ounce (Pack of 6) on Amazon! When I read on Twitter that Lean Cuisine was introducing several new Gluten Free frozen meals, I literally went straight to Kroger to grab one… as in one of each. Before I had to start eating gluten free, I was on a first name basis with Lean Cuisine frozen meals. I frequently had either their spaghetti or cheese ravioli meals for lunch and savored every bite. 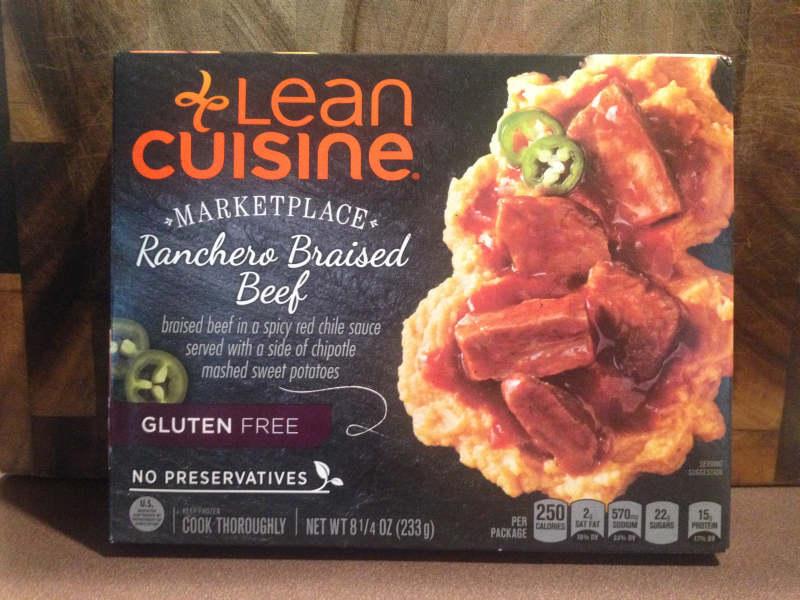 The first gluten free Lean Cuisine meal I tried was the Ranchero Braised Beef and this proved to be a mistake. Why? Because now I don’t want to move away from this one long enough to try the others! Seriously. This is quite possibly the best frozen meal I’ve ever had. I can’t possibly tell you how delicious the flavors are, which is frustrating because I really want you to know! Yes, please and thank you very much! But here’s the thing, the combination of flavors is out of this world – the red sauce is full of wonderful deliciousness that defies reason. The beef is more tender than any beef has a right to be and, also filled with flavor. As for the sweet potatoes, they are actually the PERFECT choice to accompany the beef and hella good sauce because they bring their own humble, delicate, and sweet flavor which proves to be a perfect fit. The sweet potatoes are Ricky to the Beef’s Lucy. Match made in Heaven. 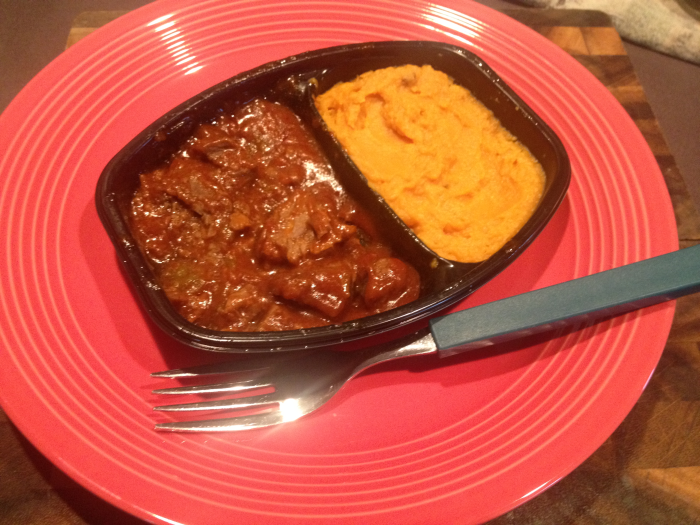 Lean Cuisine’s Ranchero Braised Beef: So Much Flavor! 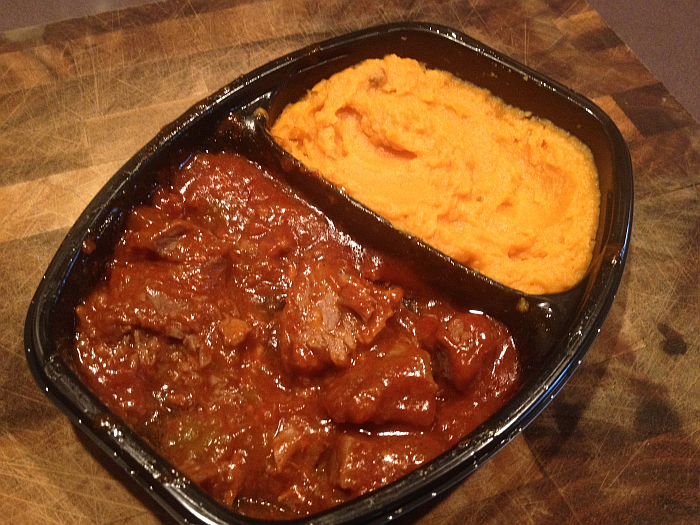 The picture on the box shows the beef and sauce on the mashed sweet potatoes and, around the fifth or sixth time I had this meal (told you I was obsessed), I arranged it on my plate just like they depict on the box. I even added a couple of pickled jalapeno slices and it looked beautiful. I fully intended to take a picture… but… um… it looked so delicious I dove right in. What can I say? My hunger drowned out my intentions. Lean Cuisine has a very impressive line of gluten free frozen meals (See Lean Cuisine’s Gluten Free Frozen Meals) and I will be trying each and every one. Everyhting Lean Cuisine makes is uncommonly delicious, so I know they’ll each be outstanding. I’ll review each one I try here on the food blog. Of course, I’ll be trying each one with the Ranchero Braised Beef served in between them. Again, I just can’t tell you how much flavor is in this meal! It’s the perfect size for a great lunch or even a dinner for most of us – especially if you have a salad on the side. I hope you’ll grab the Lean Cuisine Gluten Free Meals and check them out. If you love flavor, start with the Ranchero Braised Beef – you will NOT be sorry. I would say, “Please forgive me IF I ever repeat myself..” but I know there’s no IF to it. So, instead, I’ll just say that I hope you’ll forgive me WHEN I repeat myself. But, here’s the thing: When you have a food blog (or any blog for that matter), someone may land on a particular post, such as this review, and know absolutely zilch about the chocoholic, overly-caffeinated, crazy cat lady behind these words. Nice to meet you, by the way. So, from time to time, if you’re a beautiful and charming regular reader, you’ll hear me repeat things. For this I’m sorry – but do know that I love you… if that helps. 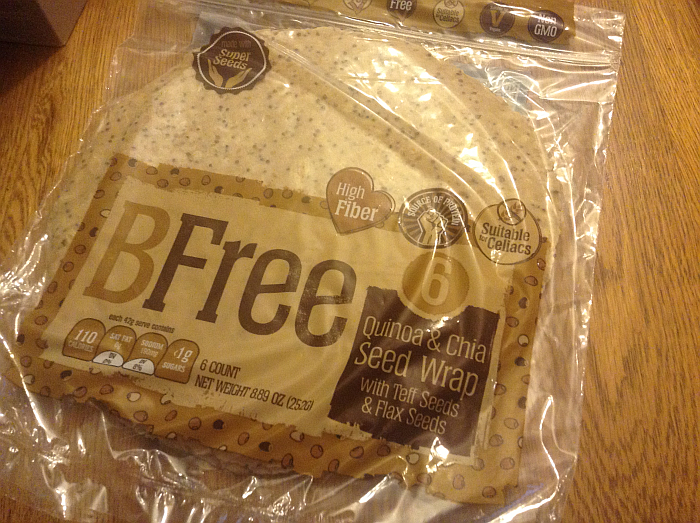 A while back, my oldest daughter (Emily) and I had to begin a TOTAL gluten and wheat free diet. Goodbye anything and everything containing either. It actually covers more foods than I’d have ever imagined possible. Long story short – it was a very, very tough transition. As someone who loves to cook as much as she loves to eat – it turned my very world upside down. Fortunately, we both soon discovered that there are A LOT of wonderful gluten free foods on the market. I’ve begun documenting the best of the best with my gluten free food reviews on Get Cooking because, let’s face it, Gluten Free food doesn’t come cheap and you don’t want to buy anything you aren’t sure you’ll even like. I get an extra kick when I come across something I love and, then, have the opportunity to tell you all about. 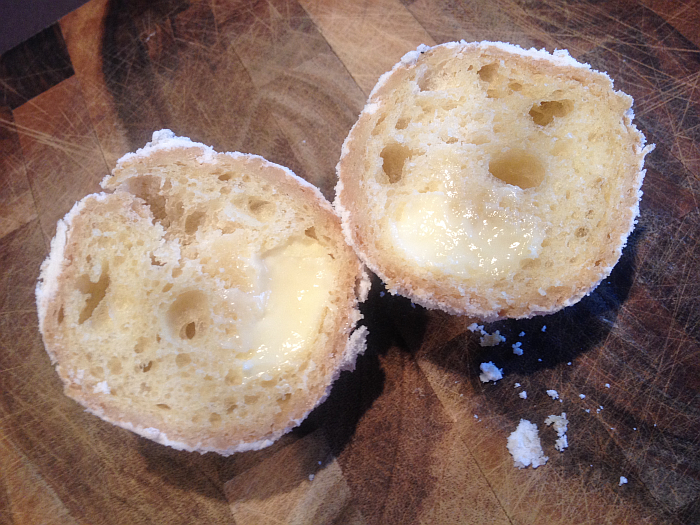 Enter, Katz Gluten Free Custard Donuts! 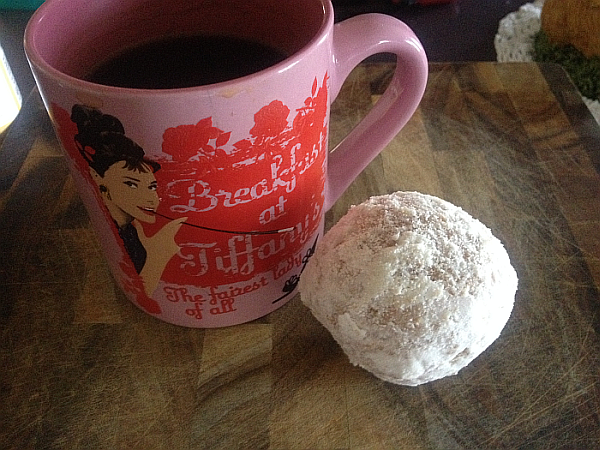 One of the things I missed most (after my world somersaulted) was doughnuts. The smell, the taste, the downright fun you have eating one. I missed it and missed it badly. 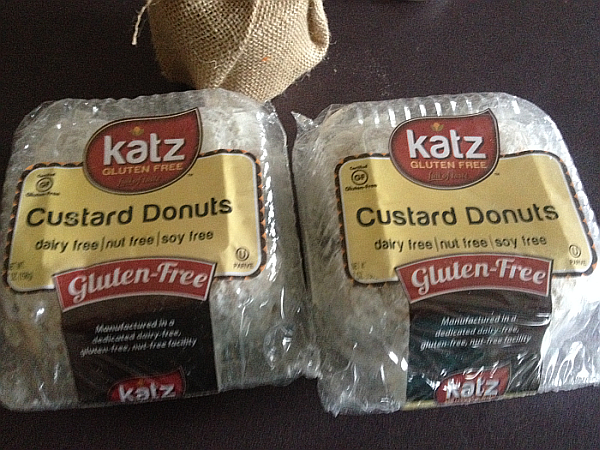 One day I was taking part in one of my favorite sports, shopping on Amazon, when I came across the glorious Katz Gluten Free Custard Donuts you see here. Basically, while throwing two packages (one for me and one for Em) into my cart, I did an excited little happy dance in my chair. When they came in the mail, I tore into my package of doughnuts like it was my job. See the top picture? It’s kind of blurry because my heart wasn’t in the photography process – it just wanted to skip to the part where I shove one in my mouth. Back when I could eat any doughnut that came along (which I did), my favorites were chocolate long johns, custard-filled doughnuts, jelly-filled doughnuts, plain fat yeast-y doughnuts, and the little doughnut holes covered in powdered sugar that kind of melt in your mouth. These Katz Gluten Free Custard Donuts are a combination of two of my favorites and I was beside myself with anticipation. It’d been over a year since I’d had anything even remotely like this. The first thing I noticed was that wonderful, delicious, familiar smell. Opening the box smelled like opening a box of doughnuts from the bakery and it was a moment I never wanted to end! I made a special pot of coffee for the occasion and enjoyed a cup with my first (okay… and second…) gluten free custard doughnut. The flavors brought back to mind everything I love about doughnuts. Without sounding too flowery (or maybe it should be flour-y), it’s a flavor I honestly had given up ever enjoying again. 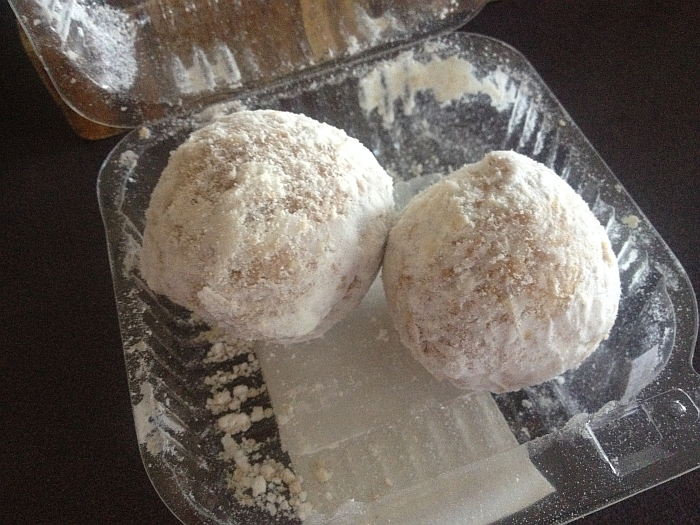 The consistency of the doughnuts are excellent, the powdered sugar is superb (bringing back the lovely experience of powdered sugar covered little doughnuts I grew up with), and the custard filling is SPOT ON. I scream SPOT ON because it is awfully easy to mess up custard filling – or any type of filling for that matter. Filling should be an “accent” – kind of a bonus flavor. 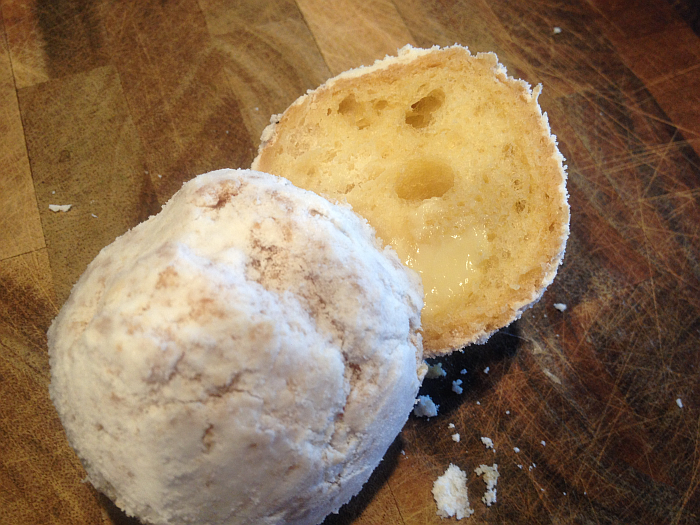 But so many times people put so much custard filling into the doughnut that you’re swimming in custard. Soon, it isn’t as though you’re eating a custard-filled doughnut as much as it’s like you’re eating a bowl of custard with a few crumbs thrown in. No thanks. I want the doughnuts to be the stars of their own shows, with custard as a beautiful bonus. Katz Gluten Free Custard Donuts are the absolute perfect combination of doughnut, powdered sugar, and delicious creamy custard. Seriously, these could not be any more delicious if they had a gun to their beautiful little sugary heads. Watch for a lot more Katz Gluten Free Food Reviews, as I will be buying everything they sell on Amazon. I’ll be doing so with my “Noah’s Ark Shopping Approach” – as in two by two. Click HERE if you can’t see the slideshow below. 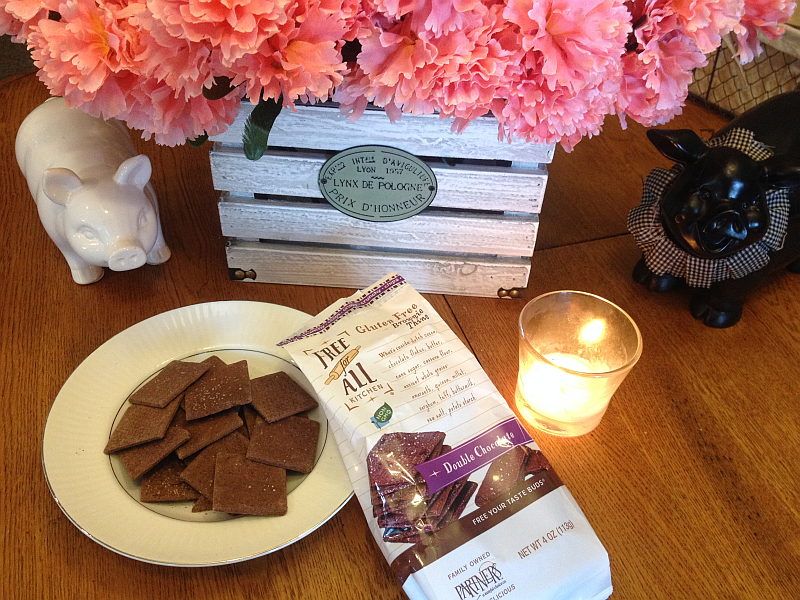 Before I get to my review of my newest favorite gluten free snack, Free For All Brownie Thins, I just want to give a huge shout out and thank you to all companies like Partners (the makers of these delicious Brownie Thins) who are making eating gluten free totally painless, beautifully easy, and completely delicious. 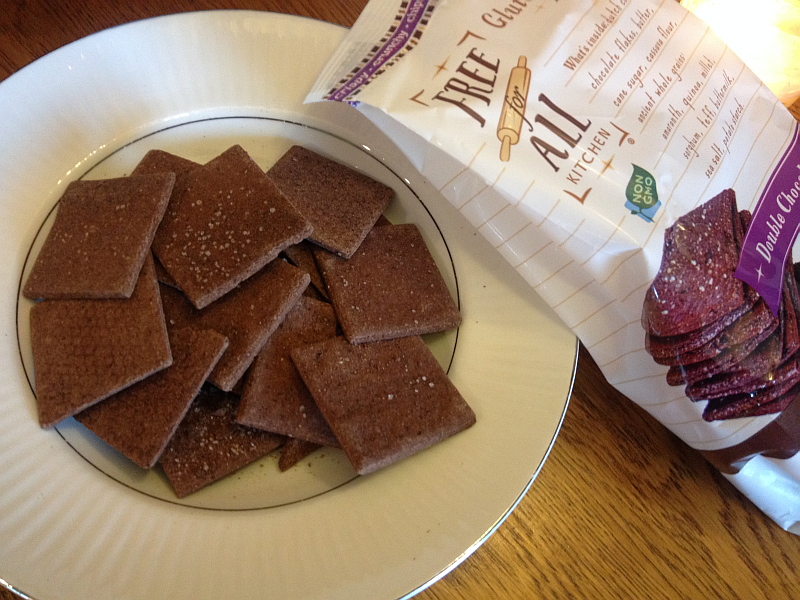 I was sent a couple of bags of the Free for All Brownie Thins to review on Get Cooking. Like all of the gluten free food reviews I do on the food blog, the opinions and images are my own. No one even suggests what I should or should not say. So, when I say that this chocoholic’s world has been rocked and rocked but good, know this – these are my own words, straight from my own lips and my own feelings, straight from my own heart. These delicious Brownie Thins do not taste like some gluten free snacks – you know the ones, the snacks that taste as gluten free as their name. 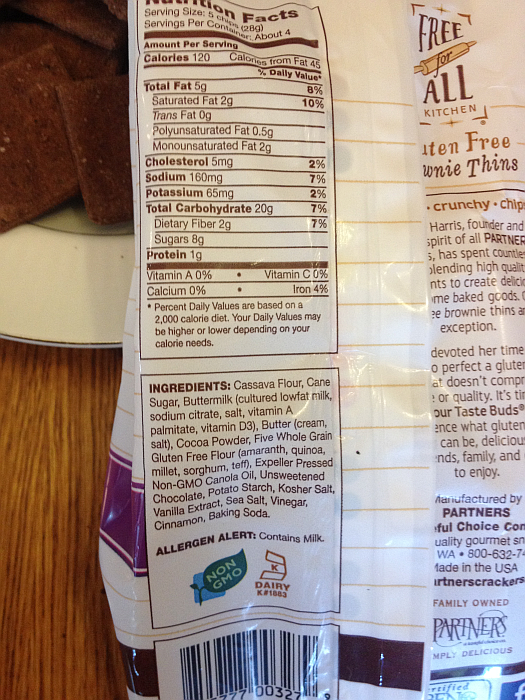 Free for All Kitchen’s Brownie Thins do not have one single ounce of flavor that even whispers gluten free. The flavor screams CHOCOLATE with echoes of DELICIOUS! 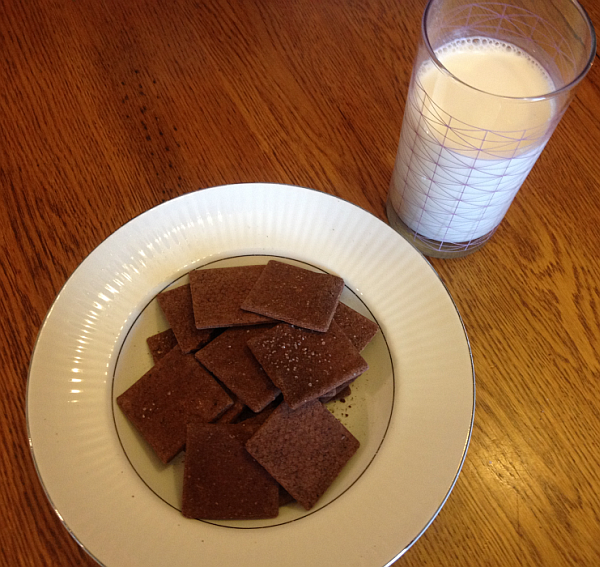 The crunchiness of these brownie thins makes them as fun to eat as they are yummy – it also makes them a dream come true with a glass of milk or a cup of hot chocolate or coffee. The light dusting of sea salt just adds to the addictive mojo of these little beauties. 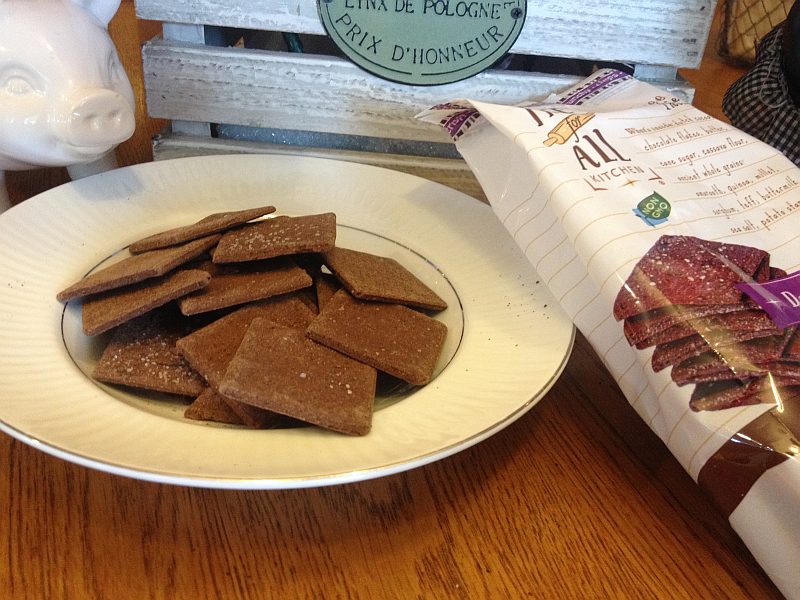 When you think about the most prominent ingredients – Dutch Cocoa, Buttermilk, and Sea Salt.. is it any wonder these Gluten Free Brownie Thins are so uncommonly delicious? In addition to eating these brownie thins with coffee and milk, I’ve also put peanut butter on them, which is outstanding. Another favorite spread is good old fashioned, always delicious cream cheese. I have also made tiny little ice cream sandwiches with them by placing a spoonful of vanilla ice cream between two – out of this world good on a warm afternoon. I didn’t realize how much I’d missed ice cream sandwiches until I took a bite. Amazing, amazing, amazing. I can also see using the Free for All Brownie Thins to build a great truffle with layers of brownie thins, whipped topping, and vanilla pudding. Throw raspberries on top and you have a dessert fit for any get together or party! 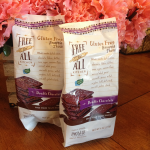 Free for All Brownie Thins with Peanut Butter – YUM! Basically, the options and ideas are limitless because these little guys are so delicious. I was going to experiment with them by crunching them up in my food processor and making a pie crust with them, but, alas, I could not stay out of them and have eaten them all. Hey, don’t blame me… they’re the ones that taste so addictive and delicious! Which is why they are gone. No problem, though.. I can order more any time I want to. So there’s hope for that chocolate pie crust after all. I 110 percent urge you to check these brownie thins out for yourself. You will be blown away – they are just do darn good! Click HERE for all the information you need and to order your own sweet new chocolate addiction. 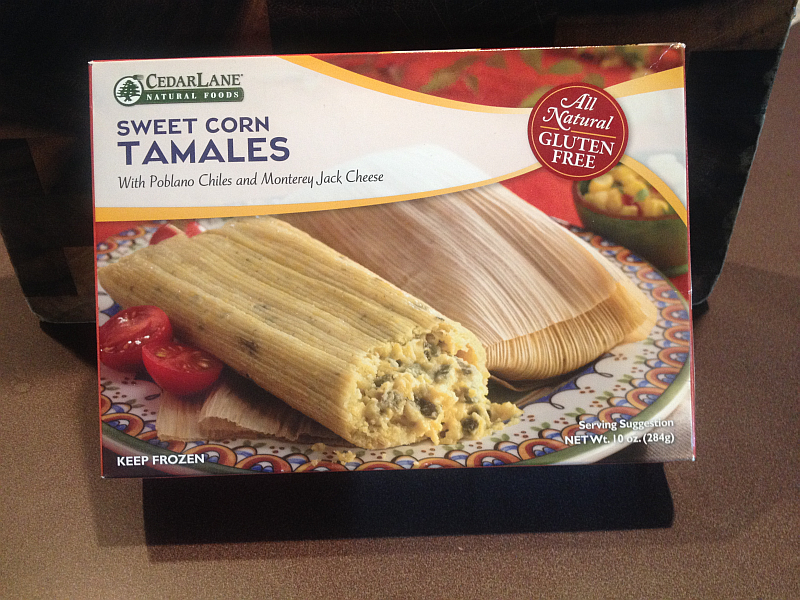 Naturally Gluten Free: CedarLane Sweet Corn Tamales! Granted, when it comes to my food reviews on Get Cooking, I tend to get carried away. The more I like something, the more apt I am to turn into a raving, adjective hurling foodie right before your eyes. You might want to duck because the flying adjectives are about to take flight. A few nights ago, I was recovering from a NASTY respiratory infection and just didn’t want to cook. Believe me, I have to be feeling miserable to not want to cook.. and I was. I also didn’t want to get gussied up and go out to eat and I couldn’t think of anything that sounded particularly good for my husband to pick up and bring home. Besides, when you have to eat gluten free, those options are grossly limited. He stopped by Kroger and picked up a few frozen meals in the Gluten free section. I’d made up a huge salad and we figured we just needed a little something to go along with them. 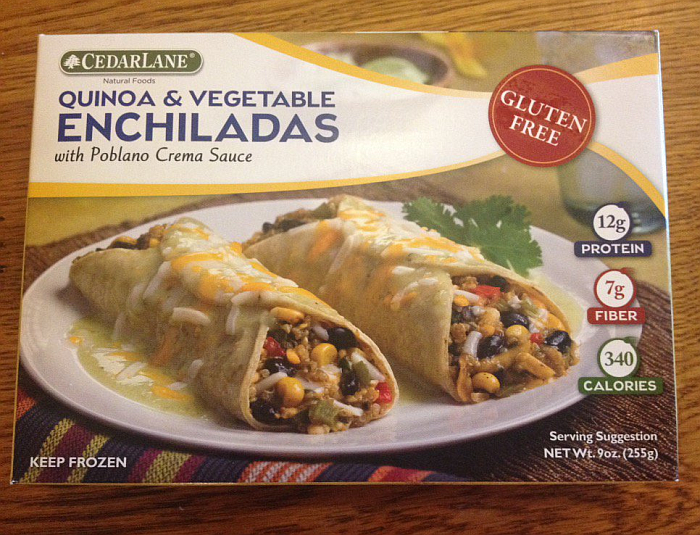 One of the boxes he grabbed is shown here: CedarLane Sweet Corn Tamales, which are naturally gluten free. I had’t’ been this intrigued by anything in a long time, so I pulled myself together enough to fix them. These guys can be cooked in the microwave or steamed and I chose to nuke them because it was faster and easier. Fortunately for this weakling dosed up on antibiotics, the process was painless and simple. You take the tamales out of their plastic wrappers. 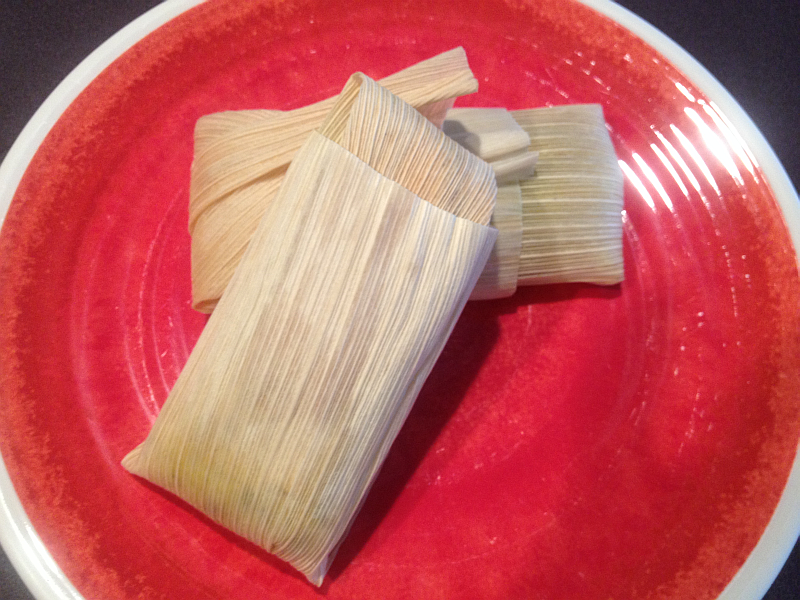 Wrap the tamales in damp paper towels. Microwave for the specified time. Remove the paper towels and take the tamales out of their corn shucks. Plate them and add some salsa verde (optional, but it’s ridiculously delicious). Eat them and wonder how you ever lived without them. 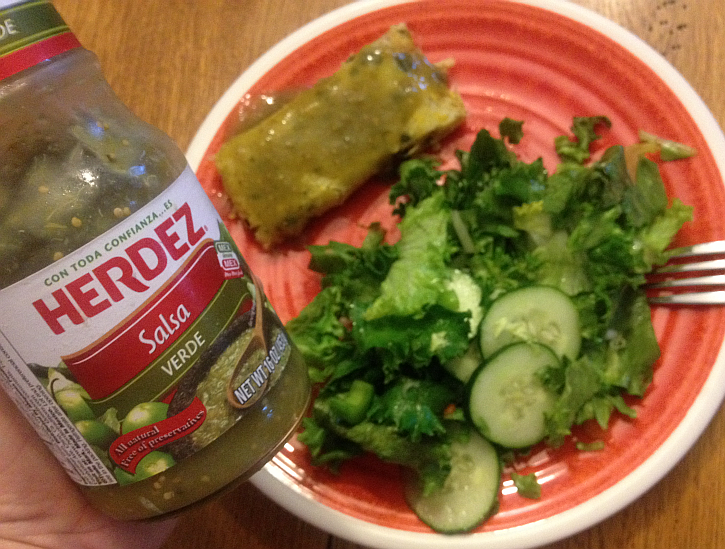 I topped ours with Herdez Salsa Verde, but any good Salsa Verde will suffice. 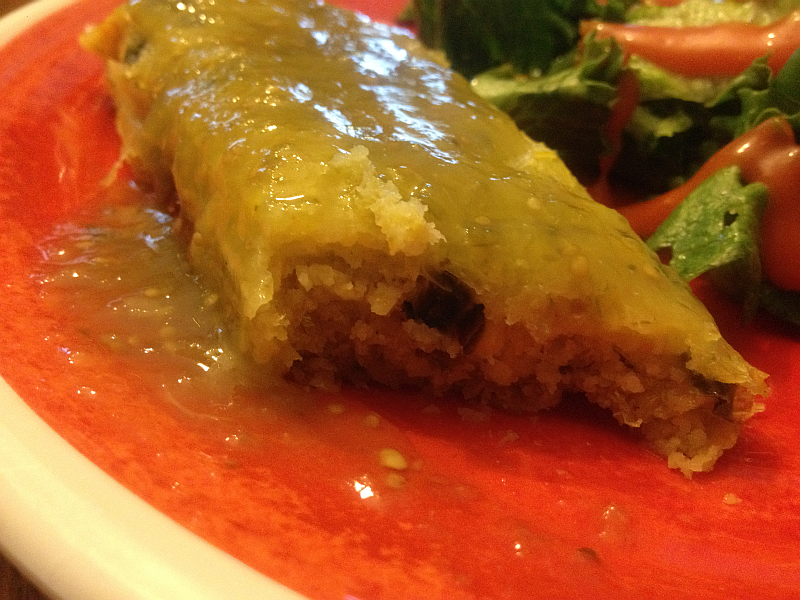 There’s just something extra magical about the combination of these sweet corn tamales and the Salsa Verde. Can you say match made in Heaven? One of my favorite restaurants, years ago, was Chi Chi’s. They had these insanely delicious little corn cakes. 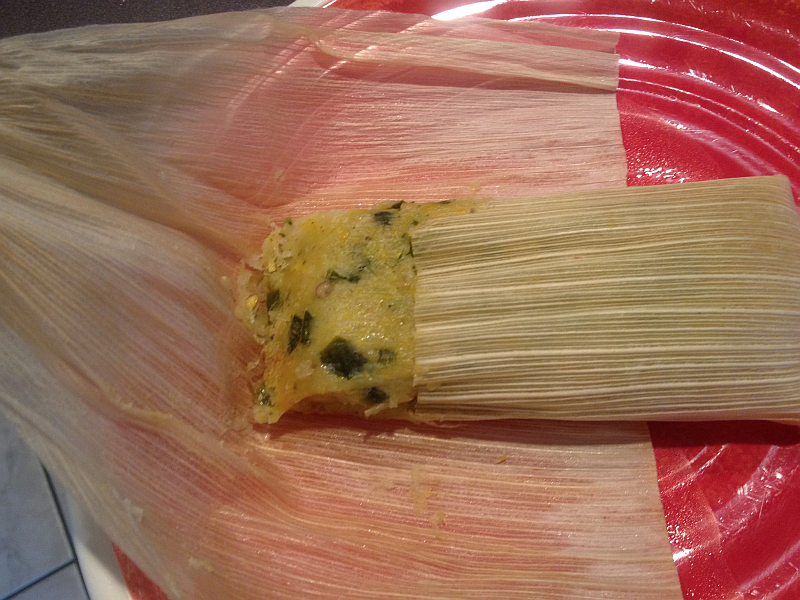 The flavor from these tamales remind me a LOT of Chi Chi’s corn cakes… except they’re even better. I 100 percent suggest you head on out and see if your favorite grocery store has these beauties. They’ll be in the freezer section, probably near the other gluten free meals. Case the entire store until you find them…. then, whatever you do… do not buy just one box!